They call it a heartline roll. An engineering flourish that can spin you 360 degrees without slowing the roller coaster, it’s so called because it takes the centre of your chest as its axis, spinning you like a propeller around your most vital organ. And then does it again, backwards. At least that’s how it goes on an impulse coaster, which hurls you out of its station and up a vertical spiral using a magnetic propulsion system. Gravity brings you back down, then the magnets give you another kick as you pass back through the station, so that you can perform an identical roll on the other side. Repeat… ad nauseum. You can see them for yourself, if you look closely – the large electromagnets that power Planet Coaster’s impulse ride, embedded in its station. They don’t need to be there, per se: developer Frontier’s coasters don’t rely on real forces, only the malleable physics and animation of videogames. 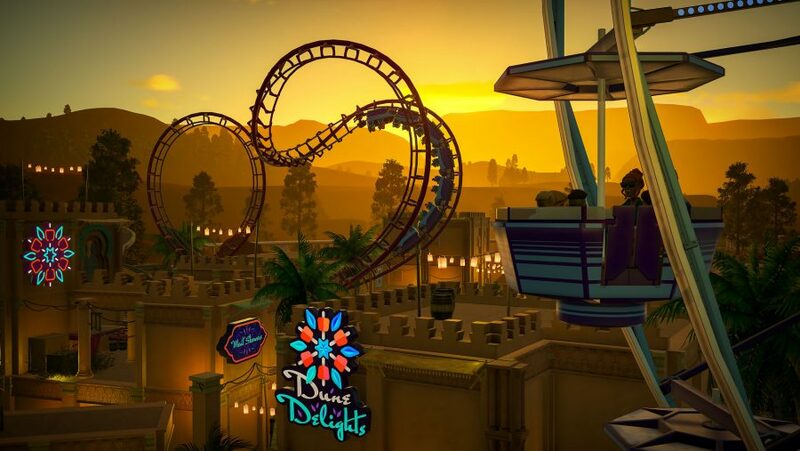 The fact that they’re there at all speaks of a dedication to realism which, over the past two years, has helped build the game a following of ride-or-die coasterheads. Back when the project was young and its team still growing, Denney would give new colleagues an induction into his world – an hour-long presentation about the functions, behaviours, and mechanisms of the rides that gave Planet Coaster its name. That’s even before you get to the shapes that define the character of a coaster – the mobius loops, hammerhead rolls, demonic knots, non-inverted helixes, and inclined dive loops. All have different ways of affecting the body, and the art of invoking a specific feeling in the rider is a marriage of science and entertainment. “We do all our homework,” Denney says, pointing to a hydraulic launch coaster on screen. In real life, this Swiss-pioneered system achieves fast yet smooth acceleration with the help of a giant winch. The winch is connected via a cable to a catch car – a device in the centre of the track which latches onto the train. When the cable is rewound at speed the riders are catapulted forward. 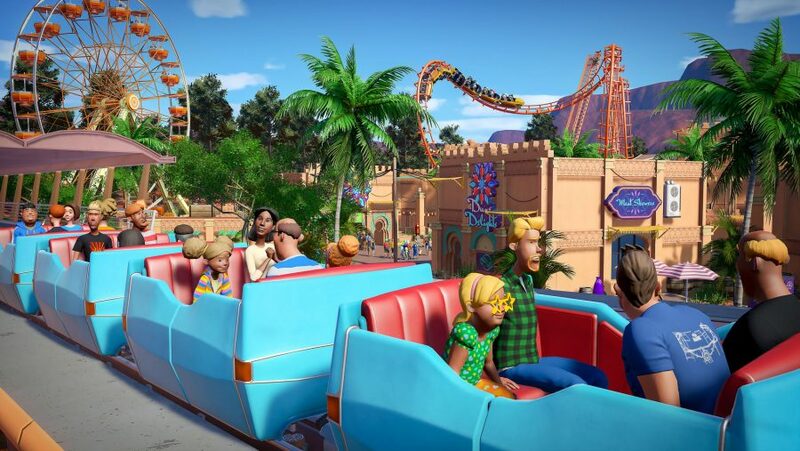 Sure enough, the catch car is there, recreated in Planet Coaster. “I watched a documentary to build that track,” senior artist Danielle Phillimore adds. Less than a year before launch, Denney spent four months writing out and prototyping wooden coasters, dedicating himself to the humongous engineering problem they represented. To appreciate it now, you only have to start laying out a wooden track in-game and watch the way its supports bend to your will – a gigantic lattice of interconnected pieces, twisting in mathematically bewildering ways. The authenticity has not gone unnoticed. Cedar Point, the internationally famous park in Ohio, worked with Planet Coaster to debut the hybrid wooden ride Steel Vengeance – the tallest, fastest, and longest of its type. 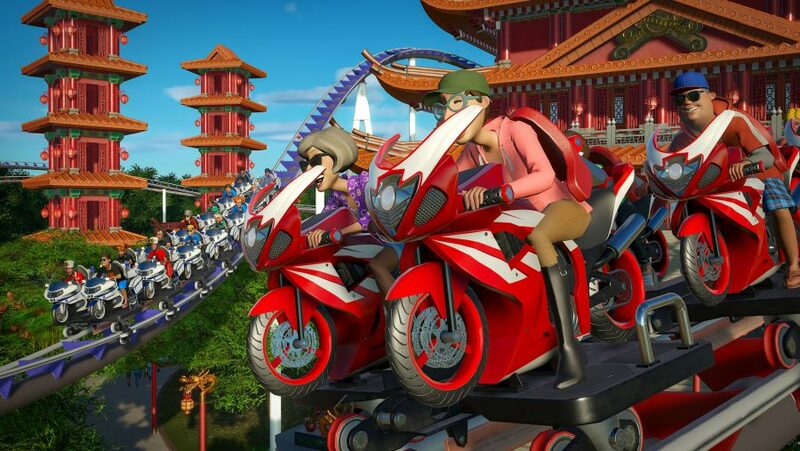 The roller coaster appeared in-game even before its real life opening last spring.